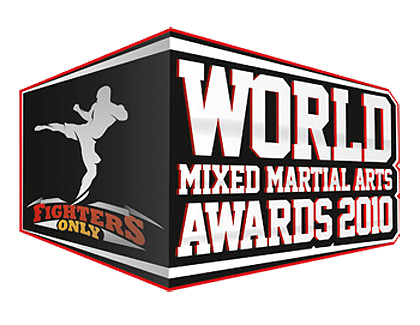 In less than 24 hours, fans will finally know the winners for the 2010 World MMA Awards. The award giving body entitled Fighters Only will give honors to ultimate fighters in the mixed martial arts. The event will stream live on Versus while the unedited version will air on December 9,2010. Officials holding the production of the 2010 World MMA Awards announced today that the ceremony which will take place in a short while will stream live on Versus.com. The MMA Awards is a black tie event which will happen at The Pearl at The Palms Casino Resort in Las Vegas. The edited version will air on December 9 at 10 PM on Versus. Ultimate Fighting Championship Hall of Famer Randy Couture and Versus’ Molly Qerim will host the awards night. The awards program, “Fighters Only” debut on 2008, it gives honor to people and organizations in 19 different categories. Categories include: “Fight of the Year,” “KO of the Year,” “Breakthrough Fighter of the Year,” “Best Promotion” and many more. The nominees for the prestigious “Fighter of the Year” category include Anderson Silva, Brock Lesnar, Frankie Edgar, Jose Aldo and Mauricio “Shogun” Rua. All the winners will be determined through fan vote. Fans’ participation are significant in this event. Hundreds of thousands of votes were cast for this year’s event. Achievement of fighters starting September 2009 – September 2010 are considered when voting is made.